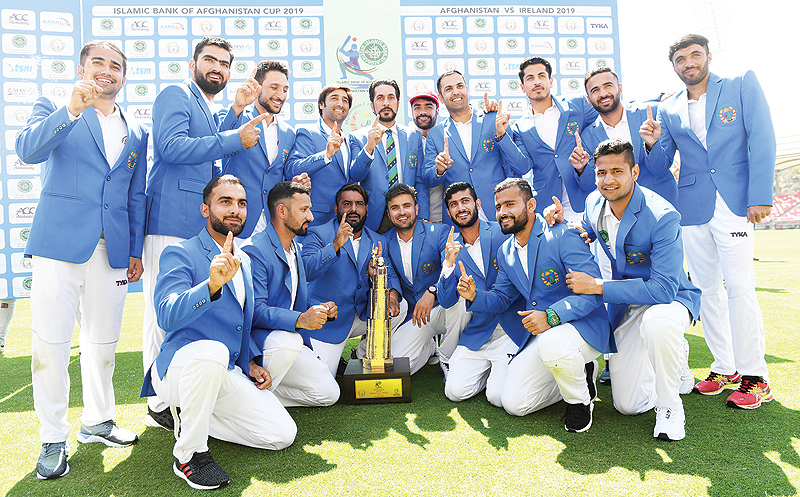 DEHRADUN: Afghanistan claimed their first ever victory in Test cricket yesterday, beating fellow newcomers Ireland in what captain Asghar Afghan hailed as a historic day for the war-torn country. Afghanistan and Ireland both achieved full member status of the International Cricket Council in 2017, becoming only the 11th and 12th teams to play the long format of the sport beloved of purists. “We have been playing for a while, we have been playing first-class cricket, so we have that composure. The bowlers were very good, Rashid (Khan), Yamin (Ahmadzai),” he added. Afghanistan were steered to their target by a 139-run partnership between Shah, who made 76, and debutant Janat, who hit an unbeaten 65. Khan returned career-best figures of five for 82 with his leg-spin to stall Ireland’s resurgence after Andy Balbirnie and Kevin O’Brien had hit gritty half-centuries in their second innings. Balbirnie made 82 and O’Brien 56 before a 10th-wicket 58-run partnership between James Cameron-Dow and Tim Murtagh set up the potentially tricky chase for the Afghans. It was Ireland’s second Test too. They played their debut Test against Pakistan in Dublin last year, losing by five wickets.